Are These The Most Dangerous Places To Run in Singapore? Singapore is regarded as one of the safest cities in the world. Violent crimes are extremely rare in Singapore, mainly due to the strict penalties imposed against offenders. As in any major city, travellers must be aware of petty personal crimes including pickpocketing, theft and mugging. According to statistics published by the United Nations, Singapore has the second lowest murder rate in the world. If you are running on the many fabulous trails or roads through unique cultural neighborhoods, lush gardens and tropical areas, there are some dangers to consider. News outlets reported the slashing of a young woman on a dark path leading to the Commonwealth MRT station in April this year. This area, popular with runners, is extremely dangerous, especially at night. It was reported that the woman was walking home after her work when she was ambushed by a flasher. The slashing occurred along a 140 metre footpath that leads from Biomedical Grove. The path is commonly used as a short-cut to the MRT station, and is a popular area for runners. 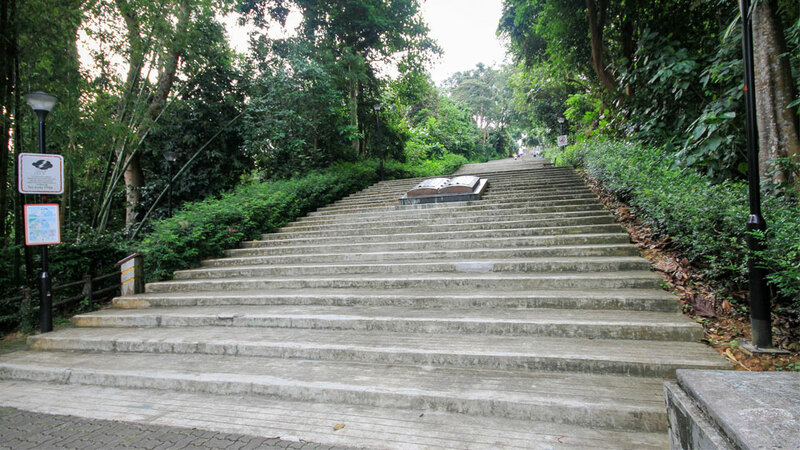 The popular footpath ends in steps leading to Tanglin Hill estate, a popular running area surrounded by lavish greenery and forested areas. If you are running in this area, especially at night, you should be aware that the lighting is extremely dim. The parks in the West has been the scene of several violent crimes in recent years. Bukit Batok has earned a reputation as one of the most dangerous areas for runners in Singapore. In early June 2011, a man was found murdered in the sacred compound of a church in Bukit Batok. The one kilometre radius surrounding the Bukit Batok Nature Park has been the scene of a series of high-profile violent crimes over the last 20 years including eight murders and a series rapes and stabbings. In August 2013, a woman was dragged into the bushes and raped while jogging in the popular park. If you choose to run along one of the many narrow side streets surrounding the park, be sure to wear lighted headgear, as city streetlamps provide only dim illumination. Thick vegetation and fallen tree branches frame the one metre wide track. If the street lights are not working properly, the dark, deserted and quiet trail is shrouded in total darkness, perfect for lurking predators. Even if you have appropriate safety gear, it is always best to run in a group or with a trusted running friend. The Bukit Batok Nature Park is one of the most popular running areas in Singapore which spans more than 36 acres of running trails. Sim Lim Square, located near to Little India is known for the sales of electronic goods and services in the city. The area attracts runner, usually in the early evenings. If you are running on the side streets and paths that lead from the square, be sure to protect your personal items, as there could be muggers and pickpockets waiting for an opportunity to steal cell phones, cameras, pouches and other small electronic items. The most dangerous roads in Singapore include Bukit Timah Road, Upper Serangoon Road, Braddell Road and Thomson Road. 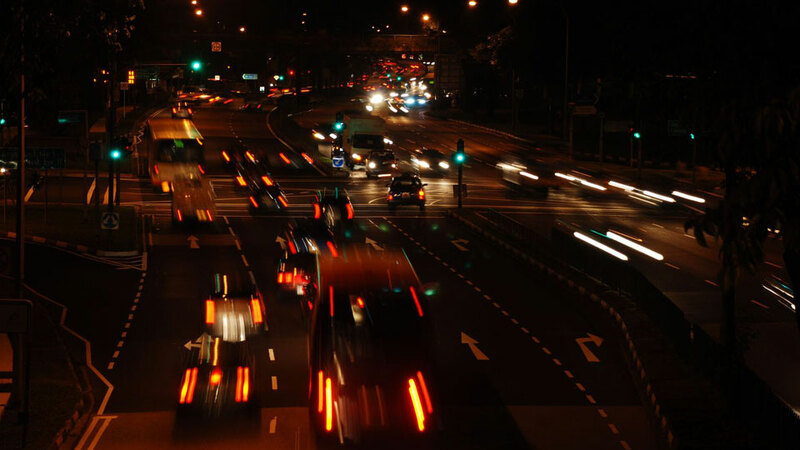 Insurer Aviva Singapore has revealed that these roads have some of the highest numbers of accidents and claims. If you are running in these areas, be sure to wear bright clothing to insure you can be seen by speeding motor vehicles and motorcycles. When running in Singapore, you must be prepared for temperature fluctuations. It can be extremely hot and humid during the day. Thunderstorms and heavy rains can occur in the late afternoons, making running conditions tenuous. Be prepared for torrential rainstorms, which can cause dangerous tree limbs and branches to crash into running trails. Nighttime running is especially dangerous on remote trails and in forested areas following a heavy rainstorm. Dirt trails may become muddy causing you to slip down a hill or trip on wet debris. Many of the plants and trees located along remote running trails in tropical areas and forested regions are infested with dangerous insects and vegetation. If you choose to run in Jurong Birdpark, a favourite among runners and bird lovers, you may encounter infestations of beetles, roaches and several species of potentially-deadly mosquitoes. Running along the trails in Singapore nature can lead runners into unmarked trails, many of which may be visited by wildlife, mainly long-tailed macaque monkeys. Although the monkeys live in tropical areas and nature reserves, they can sometimes make their way into the city. The reservoirs, natural reserves and parks in Singapore are home to estuarine crocodiles, Asian water monitor lizards and snakes. Most of the sewers are underground, so you will probably not encounter a crocodile when running in the city. 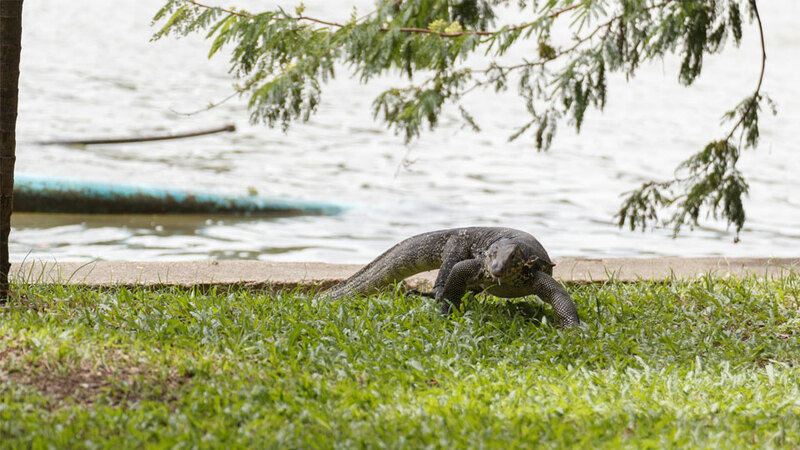 If you are running along the banks of the Singapore River or at natural reserves or parks, be aware that these reptiles may rest under shady trees in remote grassy areas. Singapore is one of the most beautiful and cosmopolitan cities in Asia. The city streets, beaches, nature reserves and gardens offer runners opportunities of a lifetime. 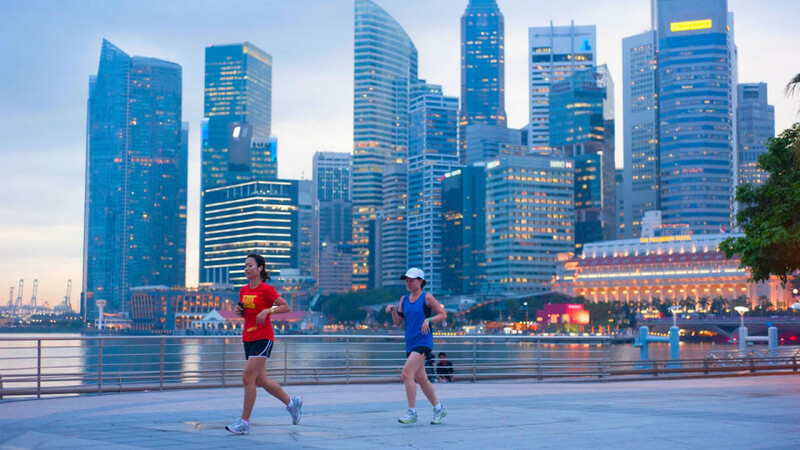 Home to spectacular running trails, Singapore attracts runners from around the world. Most trails are well-marked and are appropriate for all levels of runners. It is important to pay attention to your surroundings. Stay away from tropical areas and dense forests, especially at night. It is recommended that you run with a group or a trusted partner. If you are running alone during the day, be sure to let someone know your route and expected return time. Most importantly, do not run in dark or dimly lit areas. Be sure to use insect repellant and try to stay away from durian trees. Also read: Under Armour Charged Bandit 3 Shoes Caught Stealing Hearts! Durian trees, indigenous to tropical areas can reach close to 40 metres in height. Rough branches coated with copper or silver-coloured scales can cause serious lacerations and scrapes to exposed skin. The fruit is oval or round and can range in size between 15 to 30 centimetres and can weigh close to eight kilograms. The yellow-green rind is extremely thick and covered with sharp pointed spines. You can experience serious skin or eye injuries if you are pierced by tree branches or fruit spines. Also beware of fallen fruit along tropical running trails. Once the fruit is cracked open, the slippery pulp may cause you to slip. Although Singapore is labelled as one of the safest city in the world, we like to repeat what our authority here has always emphasis, "Low Crime Doesn't Means No Crime". With a little common sense and streetwise mentality, any local or foreigner runners will enjoy running in Singapore. Do you enjoy running in Singapore? What safety precaution do you take when you go for a run?